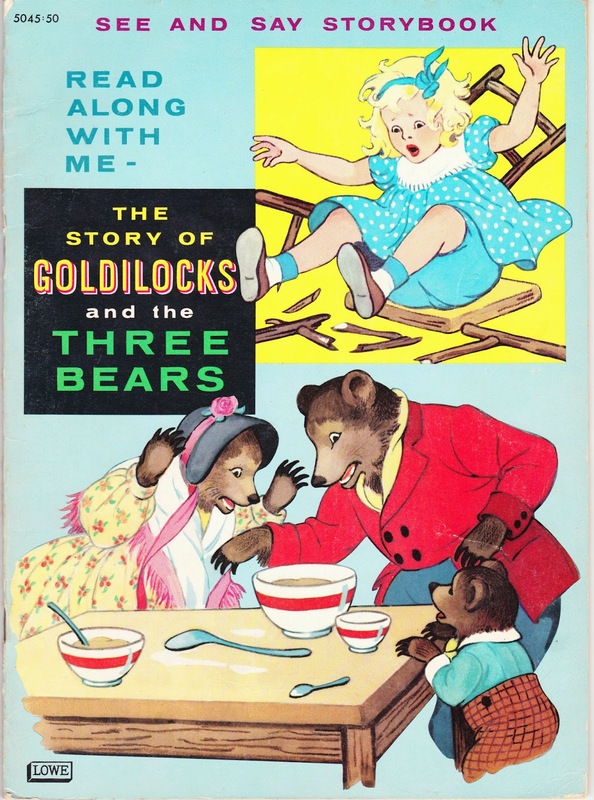 Papergreat: Today's cool cover: 1962's "The Story of Goldilocks and the Three Bears"
Today's cool cover: 1962's "The Story of Goldilocks and the Three Bears"
Here's the cover of The Story of Goldilocks and the Three Bears, a "See and Say Storybook" that was created and published in 1962 by James & Jonathan Inc. and the Samuel Lowe Company of Kenosha, Wisconsin. Another James & Jonathan/Lowe book was featured in this December 2011 post. It's not 100% clear to me what the relationship was between those two companies, although I believe Lowe served as the publisher. Meanwhile, this is the second cover related to The Story of the Three Bears that I've featured this year. Back in April, I wrote about a much older book that was adorned with a cover illustration by Margaret Tarrant. What's your favorite version or illustration of The Three Bears? I'm currently reading Miss Peregrine's Home for Peculiar Children by Ransom Riggs. And, if you need a sobering dose of reality, Joan flagged this short article in The Atlantic: "The Saddest Sea Creatures in the World Feast on Floating Trash" by Megan Garber. Very cool cover, I love the graphics.